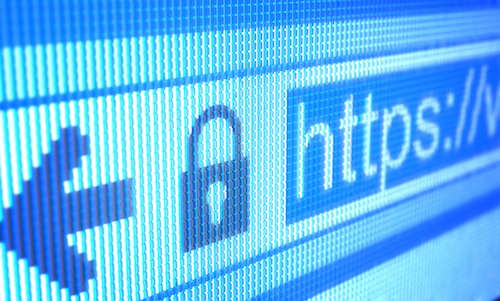 By: Byte Technology Comments Off on Free v. Paid: What’s the Best Choice for an SSL Certificate? It’s an age-old question: just what is something really worth if you can get it for free? For WordPress users—or indeed for anyone running or owning a website—this question comes up a lot. Should you use free plugins or paid versions? Do free themes have the same impact as paid ones? What about web hosting? The list goes on and on, but answers usually come easily once you arm yourself with a little information and research. Case in point: an SSL, or Secure Sockets Layer Certificate. What is it exactly? Essentially it’s a very powerful, and very necessary, too that is used to secure websites from nefarious hackers while letting your visitors and users know that their connection to your site can be trusted. An SSL is a digital file that contains information to authenticate the ownership of a site while providing encryption of data moving between the site and users. If you’ve every seen that reassuring little green padlock in your browser bar, that’s an SSL doing its job and indicating the connection from the browser to the host server is properly encrypted and the domain’s ownership is valid and authentic. There are lots of free SSLs available in the virtual world, as well as lots that come with a price tag. Keep in mind that the way paid and free certificates work, i.e. their encryption programs are pretty much the same as both typically operate from the same base standard. But there are some differences, and that’s why it’s important that website owners and administrators, both new and seasoned, read on for some of the pros and cons of free versus paid. Free SSL certificates fit into two categories: Self-Signed Certificates don’t have a need for any Certificate Authority to sign them, and rather are signed by the issuer him/herself. The second type of free certificate is signed by a Certificate Authority (CA). Sometimes, when an e-commerce site uses a free SSL certificate (which is shared with all the other sites on a particular server), a pop-up warning will appear when visitors try to go to checkout. This occurs because the SSL certificate is only configured to work with the provider’s server’s domain name. And these pop-ups can have a huge impact on the perception your customers have of your site. Free certificates only provide validation for ownership of a domain, and only one domain can be secured with each free certificate. A free SSL certificate typically comes with a shorter term of use (30-90 days) than that of a Paid SSL Certificate, thus requiring additional maintenance to maintain the validity of the certificate. A free certificate does not provide an adequate amount of security and protection for e-commerce sites, and can put your customer’s data at risk for hacking. Conclusion: If you’re looking simply to secure your blog or informational website to build trust with your users, a free SSL Certificate is all you need. However, if you run an e-commerce site, you should absolutely shell out some bucks for a paid SSL. Paid SSL Certificates are issued and signed by a certificate authority (CA), and has a much longer term, generally 1-3 years. Which means you won’t have to renew your certificate every 1-3 months as you would with a free SSL. Whereas a free SSL only come with domain validation, paid certificates come with both Organization Validation and Extended Validation, which are considered absolutely necessary for business websites where security is of paramount importance. When you have a paid SSL certificate, this means that the company issuing the certificate has thoroughly vetted and verified the legitimacy of your site and its ownership. With OV and EV, you get better visual indicators on your page that signal your site is secure. This means site seals, green address bars etc., all of which build more trust with your customers. Paid SSL certificates provide for a warranty should anything go wrong i.e. your site is hacked and data is compromised. And most of the warranties pay out anywhere from $10,000 to nearly $2 million. With a paid SSL certificate, you get 24/7 customer support. Conclusion: Paid SSL certificates don’t come with the restraints of free options, and they offer much more security, especially for e-commerce sites. And when a customer or visitor trusts your site because they can see the layers of security you’ve provided, conversion rates can increase dramatically, which of course translates to increased revenues.